Central-East Div. of POCI Int'l. Welcome to the Web site for the Palmetto Chapter (Central East Division) of Pontiac-Oakland Int'l. If you are not a member of the Palmetto Chapter, and perhaps visiting our site for the first time, we welcome you to browse through through some of our pages displaying news, pictures of our events and members' cars. The Chapter was founded in 1992 with a few core members and now has about 80 members throughtout South Carolina, with most being from the Upstate. Our newsletter is the PALMETTO WIDETRACK, which is published bimonthly. The POW-WOW AT THE BEACH show. 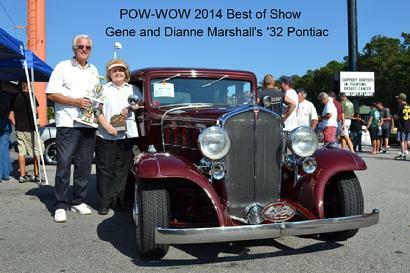 This is held around the first week end in October in Myrtle Beach, S.C.
And in the Spring, our SHOW and SHINE meet.